NORDO News - Aviation Unedited: The Last Sinful Sunday of 2017 - "Slider Sunday"
The final Sinful Sunday of 2017, August 13th, will be unlike any we've ever hosted. Looking for something unique, Ginger hit on the idea last year. It involves a big, white, self-contained fortress of food. Appreciated by everyone with a passion for life, and a craving for adventure, it is sure to please. But, it does come with a warning. If you eat salads everywhere, prefer dry celery as a snack, and are generally no fun at food parties, you'll have to munch on some freshly cut grass, or bring your own head of lettuce. What is it? It's the White Castle Crave Mobile. 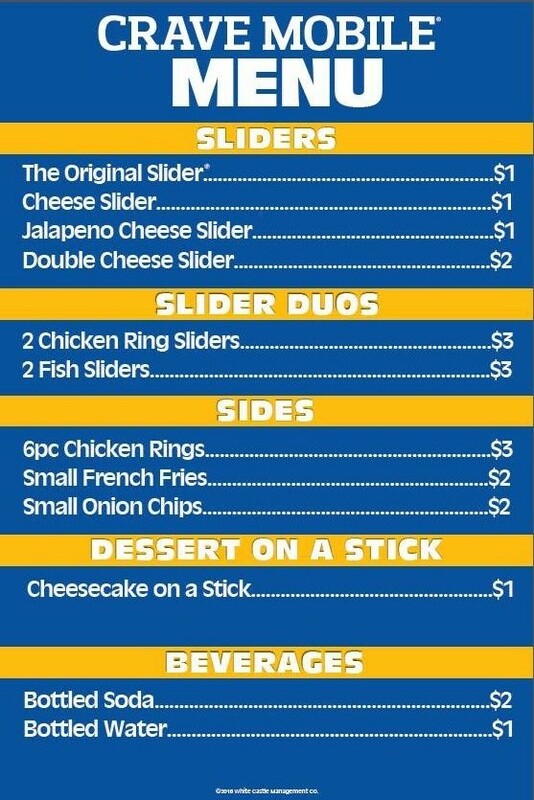 Here's the menu. 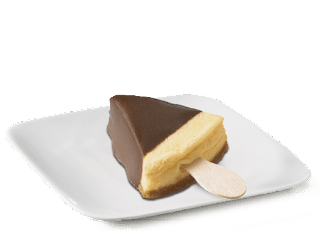 You'll notice that, in addition to the tasty sliders and fries, the only dessert is "cheesecake on a stick." Currently that's the only dessert planned, but hey, it's CHEESECAKE ON A STICK. 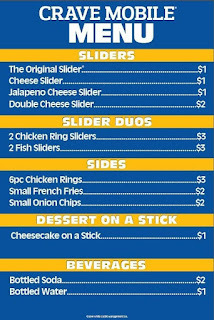 We hope you can make it to Slider Sunday. Remember, the next one will be nine months away. NOTE: If any of you are members of car clubs or riding groups, please let them know this would be a unique drive day for their club and that they are welcome. Maybe one of them would want to host a Sinful Sunday next year.